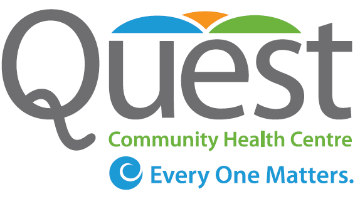 Quest Community Health Centre is a not-for-profit, interdisciplinary, health care organization with a holistic model of health and wellbeing that focuses on primary care, prevention, health promotion, community capacity building, and services integration, while considering underlying conditions such as poverty, housing, employment issues and food security. With your skills, positive outlook and clinical expertise, you will contribute to our inclusive environment while supporting the physical, emotional, and mental well-being of our clients. The role includes providing individual, group and family therapy, while also participating in interdisciplinary treatment planning. You have the ability to work independently, and in collaboration with our interdisciplinary team. Your qualifications include 2-3 years of experience in a community setting with individuals and groups, and are proficient in a range of treatment approaches. Experience working with interdisciplinary teams is an asset. Membership in good standing with the Ontario Association of Social Workers or eligibility for membership is required; a Masters’ degree in Social Work or related field is preferred. A valid Ontario driver’s license, access to reliable transportation and a Police Reference Check are also required. If you enjoy being part of a team environment, and share our passion for our innovative model of health care, send your cover letter and resume to tschroeder@questchc.ca by February 22nd, 2019. Please include “SW/Therapist” and your name in the subject line of your email. For a detailed job description, visit our website: www.questchc.ca.